The first thing you’ll notice about Loïc Barrat, and his wife Aurélie Masson, is that they never stop smiling. And with good reason: they took a big leap in 2010 by leaving the local cooperative where both their families have deep roots to start their own production...and their bet has paid off. In 2013, they released their first bottles of Champagne from their certified organic vineyards on the border between the Aube and the Marne. Loïc, a viticulteur by trade, works their seven hectares with a practical approach that blend traditional techniques with modern technology - he has adapted modern vineyard spraying equipment to be able to more effectively apply the organic treatments to the vines. In the cellar, Aurélie, the former head oenologist of the local cooperative, uses the same approach: they use a traditional ‘Coquard’ wooden basket press, but she has installed a computer to monitor the pressing times. Each plot is vinified separately to carefully monitor the variations in terroir, and provide the largest palette for the final blend. Grown on 5 hectares around the town of Béthon. Clay limestone soil, with an average vine age of 40 years. Grapes are pressed on a traditional wooden press, parcel by parcel. The champagne is made from the "coeur", or the first press. Unfiltered. Aged on fine lees in stainless steel and used oak barrels. Goes through partial malolactic fermentation. Disgorged by hand. Average production: 6,700 bottles/year. Grown on clay soils, Pinot Noir brings together its fruitiness with the freshness of Chardonnay. Grain d’Argile is a wine with a golden color, whose nose proves to be very expressive with persistent effervescence. This Champagne has beautiful aromatic depth and the Pinot Noir brings structure and maturity. Its remarkable freshness gives it excellent length on the palate. Average production: 4,000 bottles/year. Grown on Clay-limestone. The Margannes is a pale yellow color with golden hues, a very fine and complex nose, mixing honey and acacia, toasted bread notes, with hints of white flowers. 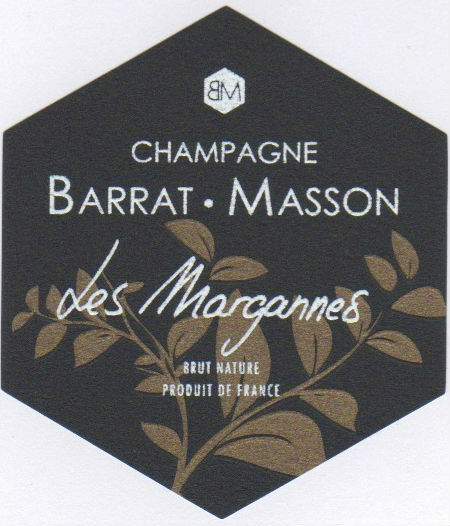 This Champagne is characterized by a very long and important aromatic range. The finish shows a slight sweetness as well as a touch of lemon that gives this wine a beautiful balance and lengthens the finish . Average production: 2,000 bottles/year.